Last week was full of great news on the food front. It seems that all my favorite foods were found to have health benefits. How often does that happen? 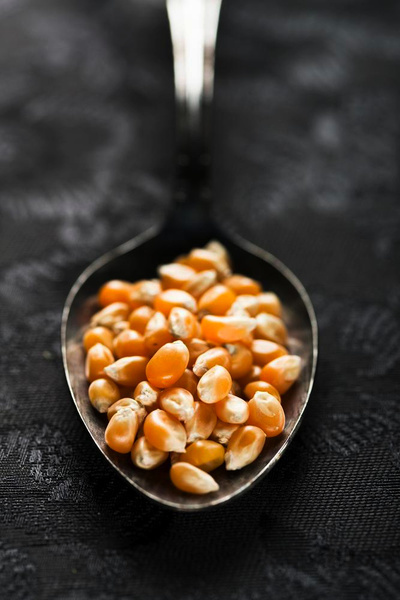 A new study by the University of Scranton found that the hull of popcorn is rich in antioxidants that have disease-fighting properties and prevent damage to cells. Of all the whole grains, popcorn is one of the least processed. It is extremely high in fiber, and relatively low in calories…that is until we pop it in lots of oil, and slather it with butter and salt. Air popped popcorn is the healthiest method of preparation. Microwave popcorn can also be low in calories, but the chemicals in the bags have been found to cause respiratory problems after prolonged exposure. The “DIY” version is a great alternative. Just put kernels in an untreated brown paper bag, and fold the top over several times. Toss it in the microwave, and zap until the popping slows down. Season it lightly with sea salt, or some Parmesan cheese. Caveat: The doctors admitted that further studies were needed to determine if the high fiber content causes the popcorn to pass so quickly through the body that the antioxidants do not have any significant effect. That was a headline that made me look twice. A study from the University of California at San Diego has discovered that people who eat chocolate regularly have a lower BMI (body mass index) than those who do not. The team surveyed over 1000 people between the ages of 20 and 85 years old about their eating habits. While the chocolate eating group did not report eating fewer calories or exercising more than their non-chocolate eating counterparts, they consistently had lower BMIs. The doctors are hypothesizing that there are metabolic benefits to chocolate that would off set the calories consumed “in moderation.” It is speculated that the caffeine in the chocolate could be the cause of the metabolic boost. Dark chocolate is also an antioxidant. Beware: Most chocolate is very high in fat and sugar, and packs a mean calorie punch. Opt for a tiny piece of dark chocolate, or a bit of Dutch processed cocoa. I love a little dark cocoa mixed into some Greek yogurt or fat free ricotta cheese as a creamy low calorie dessert. Red wine has long been touted as a heart healthy drink. A substance called resveratrol is the key ingredient in red wine that has been attributed to lowering “bad cholesterol” and preventing blood clots. However, the risks associated with drinking alcohol are thought to be much greater than the benefits. For healthy people, drinking red wine in moderation can be a good thing. For those who are pregnant, have heart problems, take aspirin, or for those with addiction issues, wine is not recommended. While all of this appears to be great news, the studies admit that their findings are inconclusive. For now, I will stick to the idea that chocolate, popcorn and wine are treats to be indulged in in moderation, and count on my healthy diet and exercise routine to keep me in optimum health.